Works with Adults, Older Persons. ℹServices offered are ATAPS, Counselling, CTP, DVA, EAP, Medicare, NSW Workcover, Private Health Fund, QLD Workcover. Ann-Maree is a Registered Psychologist who completed her Bachelor of Psychology at Queensland University of Technology and Bachelor of Honours at James Cook University. She is also an EMDR (Eye Movement Desensitization and Reprocessing) Specialist, Certified Consulting Hypnotherapist and a Master Practitioner of Neuro-Linguistic Programming. 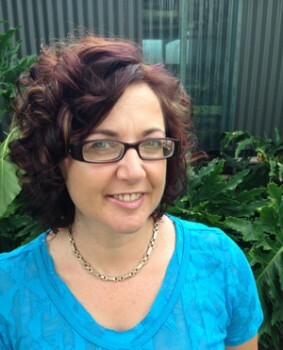 Ann-Maree has worked in a range of areas which include: private practice, recruitment and selection, counselling with Lifeline, managing and implementing research and treatment plans for people with alcohol and depressive symptoms, interviewing, report writing and brief interventions for people presenting with psychiatric and medical conditions. Her aim is to provide a place where clients feel safe to disclose concerns so that they may explore them together in a confidential and non-judgemental way. She does not believe that a “one therapy approach” fits all, therefore draws from a variety of techniques which include but not limited to; EMDR (Eye Movement Desensitization and Reprocessing), CBT (Cognitive Behaviour Therapy), ACT (Acceptance and Commitment Therapy), Solution Focussed Therapy, Motivational Interviewing, Neuro-Linguistic Programming and Hypnotherapy.